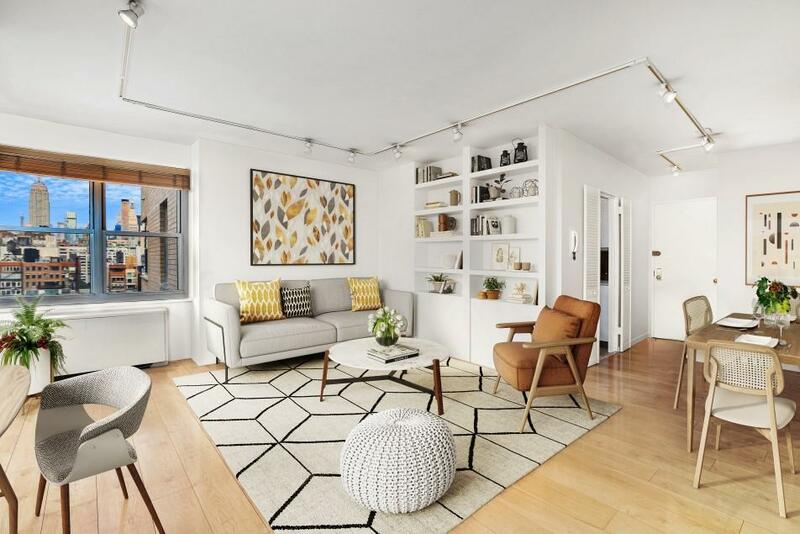 Make your home among the city's iconic skyline in this rarely available, high-floor studio/one-bedroom home in the renowned Brevoort East cooperative. Located in the epicenter of Greenwich Village, at Brevoort East, you'll enjoy superb access to vibrant Downtown living and a long list of coveted amenities.Golden sunlight and sweeping views surround you the moment you enter this spacious corner home thanks to wide windows facing both north and west. 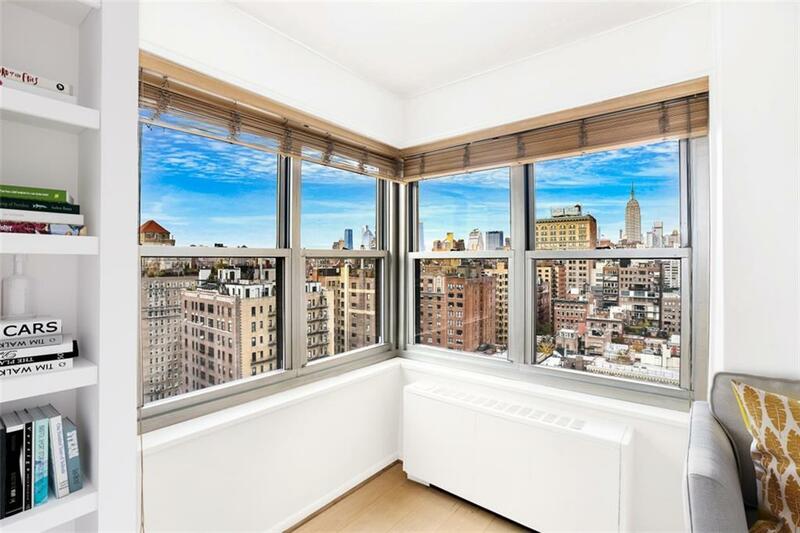 Unobstructed views stretch all the way to the Empire State Building and beyond, creating a chic backdrop in the large living/dining room. 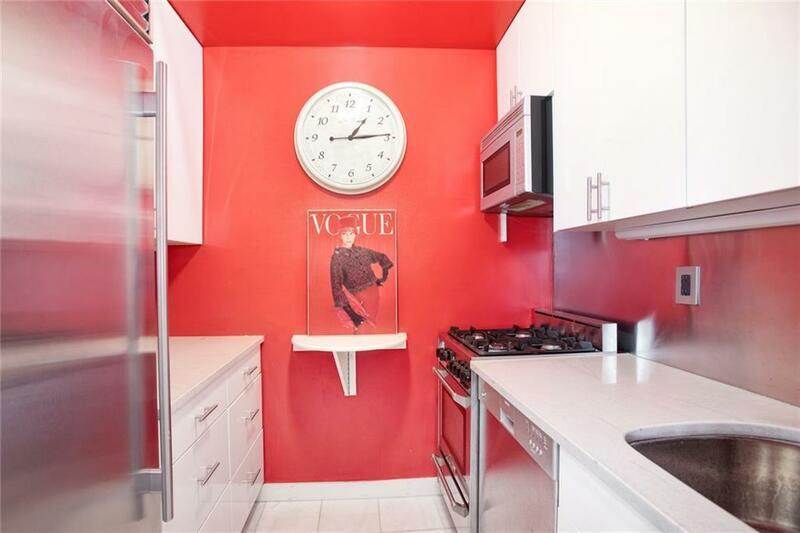 The roomy foyer and entry closet provide a gracious arrival, and the adjacent kitchen is well-equipped with stainless steel appliances and ample cabinet space. Wide-plank maple floors guide you to the sunny bedroom where multiple large closets and built-ins easily attend to wardrobe and storage, and the ensuite private bathroom features modern fixtures.Located within the Greenwich Village Historic District just inches from Greenwich Village's famed Gold Coast, the Brevoort East is a postwar white-glove building frequently called one of Manhattan's finest co-ops. Amenities include 24-hour doorman and concierge service, on-site resident manager and live-in superintendent, fitness center, children's playroom, residents' storage, laundry, on-site parking garage and a landscaped roof deck with breathtaking views. 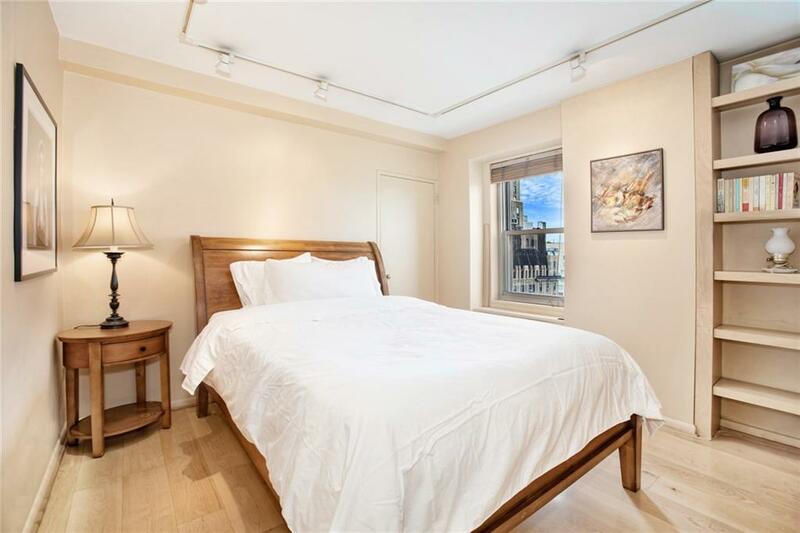 Guarantors and pets are allowed with board approval; pieds--terre and co-purchasing are not permitted.Steps from Washington Square Park, with immediate access to Union Square and Gramercy Park, world-class restaurants, nightlife, shopping and entertainment venues make this neighborhood truly unbeatable. Michelin-starred eateries Gotham Bar & Grill and Nix are minutes away, and both Trader Joe's and Whole Foods sit along 14th Street. Access to transportation couldn't be better with N/Q/R/W, A/C/E, B/D/F/M, 4/5/6, L and PATH trains all nearby.